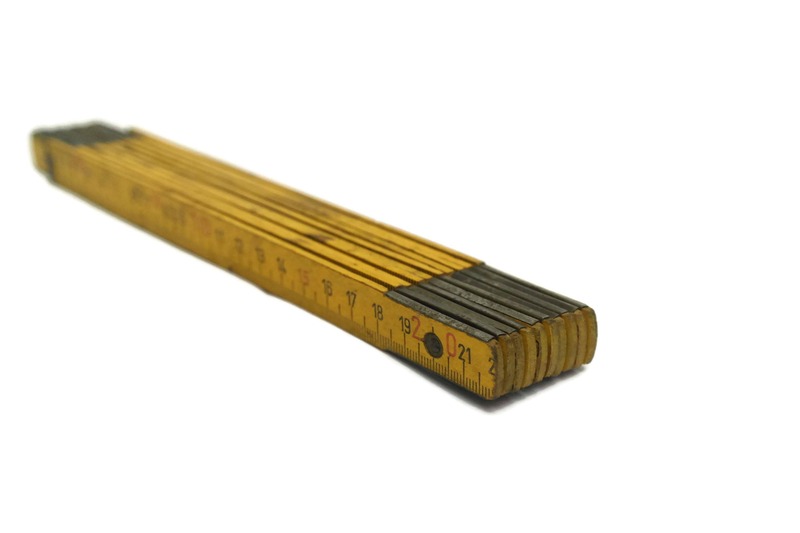 Vintage French Wooden Folding Ruler. 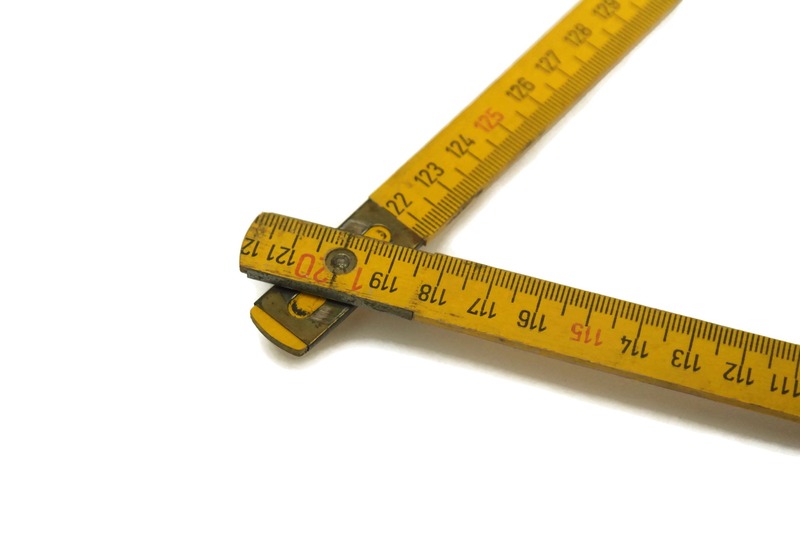 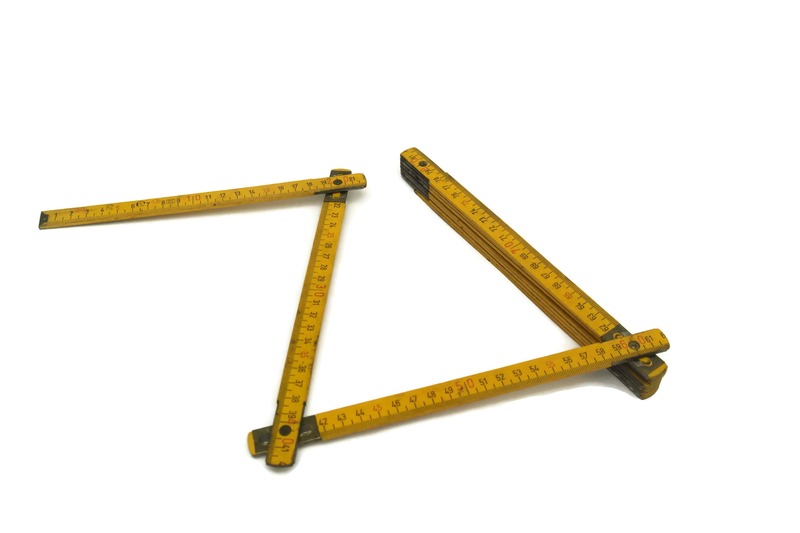 Carpenter's Extension Ruler. 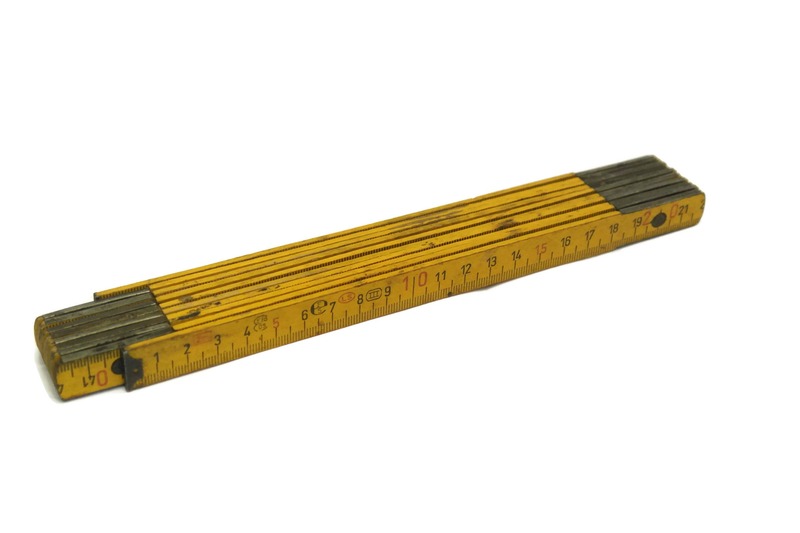 2 metre Long Yellow Wood Measuring Tool. 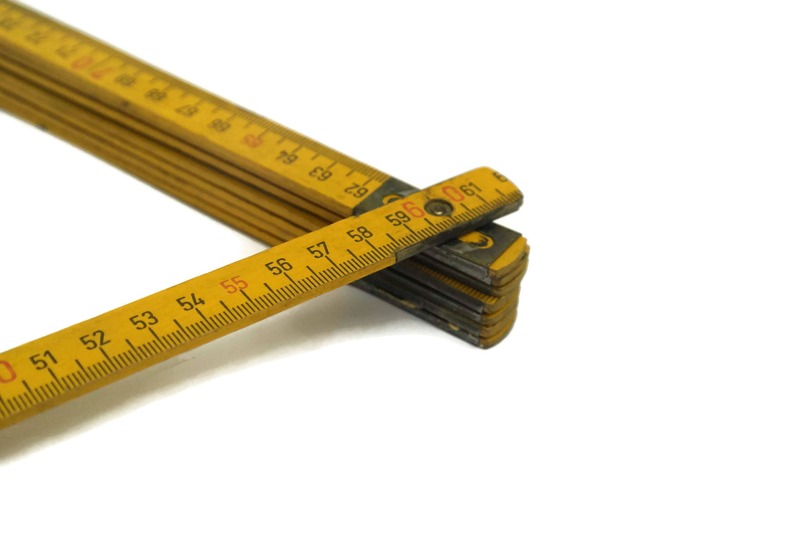 A vintage French folding ruler that measures in the metric system of centimetres. 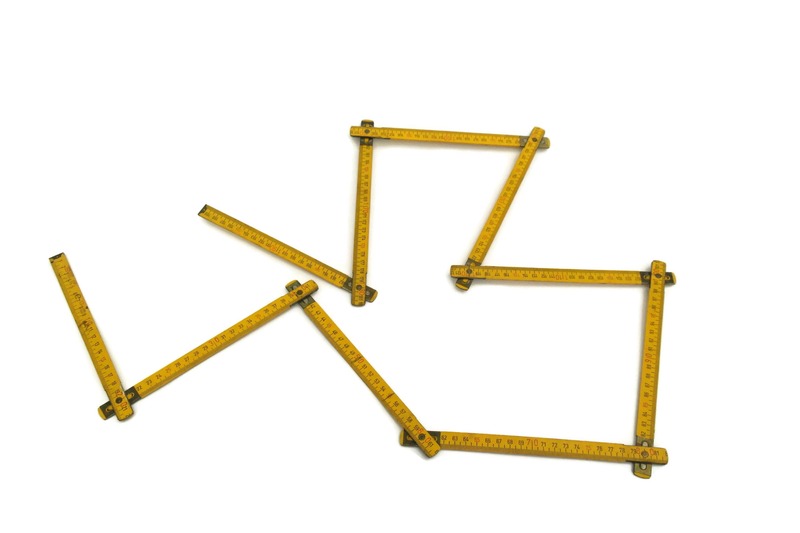 It has 10 double sided wooden sections that have been painted yellow and joined with small metal rivets. 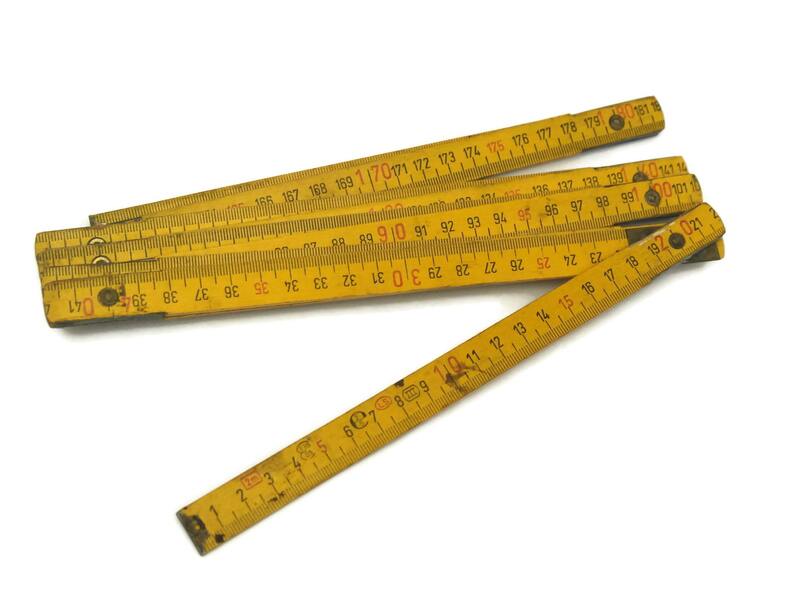 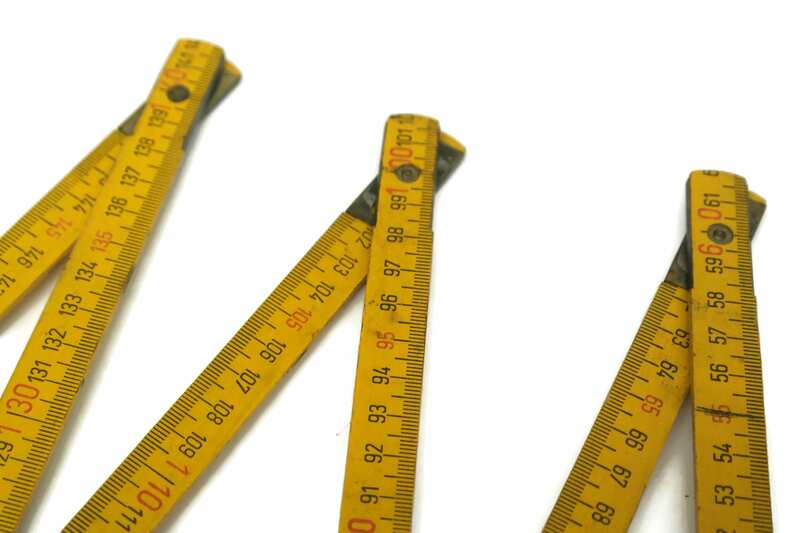 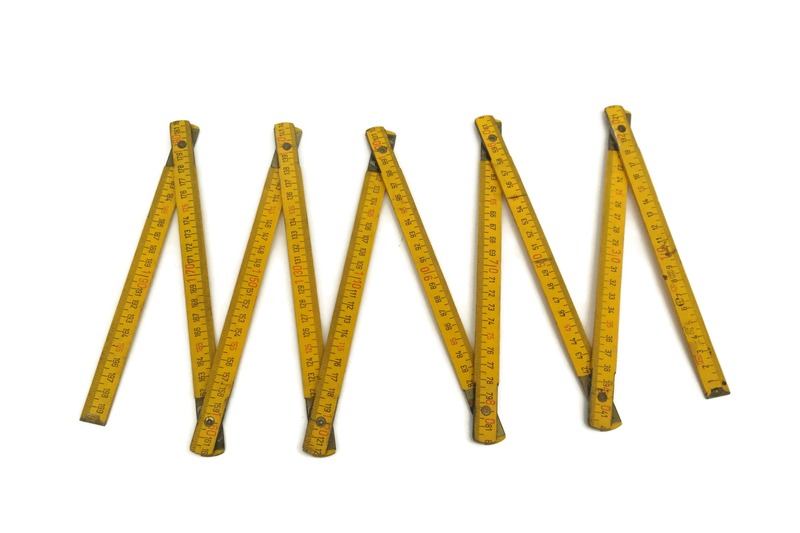 The ruler measures lengths up to 200cm / 2 metre (80 inches). 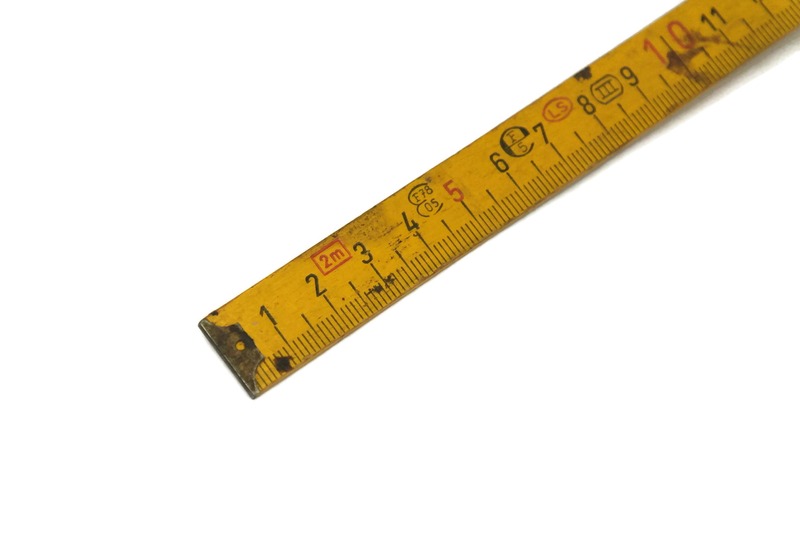 The ruler is in good vintage condition with age appropriate wear including surface marks and scratches to the painted wood surface.